NOTE - Targeted Media Communications (TMC) is the parent company of Arizona Black Pages (AZBP). Users of the Service may be Clients (anyone utilizing the AZBP platform to request information or services to be performed by TMC and/or subsidy) or Commnity Readers (any company, individual user, or groups of associated individual users or companies utilizing the AZBP platform). In the course of using the Service (whether as a Client or Community Reader), we may require or otherwise collect information that identifies you as a specific individual and can be used to contact or identify you ("Personal Information"). Examples of Personal Information include your name, email address, company address, billing address, and phone number. If you use the Service to make or receive payments, we will also collect certain payment information, such as credit card, PayPal or other financial account information, and billing address. We may collect Personal Information, such as your date of birth or taxpayer identification number, to validate your identity or as may be required by law, such as to complete tax filings. We may request documents to verify this information, such as a copy of your government-issued identification or photo or a billing statement. The Service is general audience and intended for users 18 and older. We do not knowingly collect Personal Information from anyone younger than age 18. If we become aware that a child younger than 18 has provided us with Personal Information, we will use commercially reasonable efforts to delete such information from our files. If you are the parent or legal guardian of a child younger than age 18 and believe that AZBP has collected Personal Information from your child, please contact us at: Editor@AZBP.com. We also may collect other information, such as zip codes, demographic data, information regarding your use of the Service, and general project-related data ("Non-Identifying Information"). We may aggregate information collected from AZBP registered and non-registered users ("AZBP Users"). We consider usernames to be Non-Identifying Information. Usernames are made public through the Service and are viewable by other AZBP Users. Certain Non-Identifying Information would be considered a part of your Personal Information if it were combined with other identifiers in a way that enables you to be identified (for example, combining information with your name). But the same pieces of information are considered Non-Identifying Information when they are taken alone or combined only with other non-identifying information (for example, your viewing preferences). We may combine your Personal Information with Non-Identifying Information, but AZBP will treat the combined information as Personal Information. Like many websites, we and our marketing partners, affiliates, analytics, and service providers use "cookies" to collect information. A cookie is a small data file that we transfer to your computer's hard disk for record-keeping purposes. We use both persistent cookies that remain on your computer or similar device (such as to save your registration ID and login password for future logins to the Service and to track your compliance with the AZBP Terms of Service) and session ID cookies, which expire at the end of your browser session (for example, to enable certain features of the Service, to better understand how AZBP Users interact with the Service and to monitor aggregate usage by AZBP Users and web traffic routing on the Service). You may be able to instruct your browser, by changing its options, to stop accepting cookies or to prompt you before accepting a cookie from the websites you visit. If you do not accept cookies, however, you may not be able to use all functionality of the Service. We and our marketing partners, affiliates, analytics, and service providers may also employ software technology known as "web beacons" and/or "tracking tags" to help us keep track of what content on our Service is effective and to serve relevant advertising to you. Web beacons are small graphics with a unique identifier that may be invisible to you, and which are used to track the online activity of Internet users. Web beacons are embedded in the web pages you review or email messages you receive. Web beacons or similar technologies may be used for a number of purposes, including, without limitation, to count visitors to our Service, to monitor how AZBP Users navigate the Service, to count how many emails that were sent were actually opened, or to count how many particular articles or links were actually viewed. We and our marketing partners, affiliates, analytics, and service providers may also employ software technology known as an Embedded Script. An Embedded Script is programming code that is designed to collect information about your interactions with the Service, such as the links you click on. The code is temporarily downloaded onto your computer or other device and is deactivated or deleted when you disconnect from the Service. Please note that your browser setting may allow you to automatically transmit a "Do Not Track" signal to websites and online service you visit. There is no consensus among industry participants as to what "Do Not Track" means in this context. Like many websites and online services, AZBP does not alter its practices when it receives a "Do Not Track" signal from a visitor's browser. To find out more about "Do Not Track," please visit http://www.allaboutdnt.com. You may have the opportunity to create a profile, which consists of information about you, and may include Personal Information, photographs, examples of your work, information on work previously performed via the Service and outside the Service, skills, tests taken, test scores, hourly pay rates, feedback/rating information and other information, including your username ("Profile"). The information in your Profile may be visible to all AZBP Users and the general public subject to the privacy choices you make within your AZBP Profile. You may edit certain information in your Profile via your account and may choose to limit who is able to view certain content you post to your Profile. Clients and Agencies of associated individual users or companies may also have the opportunity to create an organization Profile. If, in any case, you believe that an unauthorized profile has been created about you, you can request for it to be removed by contacting us at Editor@AZBP.com. The Service may provide you the opportunity to participate and post content publicly in forums, on blogs, through interactive features and through other communication functionality ("Community Forums"). You may choose, through such features or otherwise, to submit or post questions, comments, or other content (collectively, "User Forum Content"). Please note that certain information, such as your name and Profile may be publicly displayed on the Service along with your User Forum Content. Please note that your use of Community Forums is subject to the AZBP Forum Rules and our Terms of Service. To request removal of your personal information from our blog or community forum, contact us at Editor@AZBP.com. In some cases, we may not be able to remove your Personal Information, in which case we will let you know if we are unable to do so and why. AZBP lets you send informative postings to friends via email. 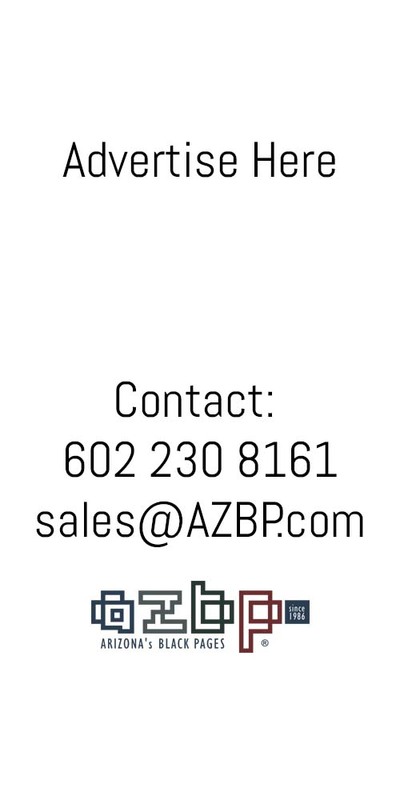 AZBP also offers the ability to send friends emails about providing or purchasing services through the Service. If you choose to use either feature, your friend's email address will be used to send the requested posting and your email address will be used to copy you on the message to your friend or to send the message on your behalf. AZBP stores this information for the sole purpose of sending this one-time email and tracking the success of our referral program. Your friend may contact us at Editor@AZBP.com to request that we remove this information from our database. You may register to join the Service directly via the Service or by logging into your account with a third party social networking service ("SNS") via our Service (e.g., Facebook, LinkedIn and other third party services that let you sign in using your existing credentials with those services). If you choose to register via an SNS, or to later link your account with the Service to your account with an SNS, we will use the Personal Information you have provided to the SNS (such as your name, email address, gender and other information you make publicly available via the SNS) to create your account. Note that the information we collect from and through an SNS may depend on the privacy settings you have set with the SNS and the permissions you grant to us in connection with linking your account with the Service to your account with an SNS. Other than what we may share with the SNS as described below, the Personal Information an SNS has about you is obtained by the SNS independent of our Service, and AZBP is not responsible for it. The AZBP Service also may permit additional interactions between it and a third party website, service, or other content provider, such as enabling you to "like" or share content to a third party SNS. If you choose to "like" or share content, or to otherwise share information from or via our Service with a third party site or service, that information may be publicly displayed, and the third party may have access to information about you and your use of our Service (and we may have access to information about you from that third party). These features may collect your IP address, which page you are visiting on our site, and may set a cookie to enable the feature to function properly. Your interactions with third parties through an SNS or similar features are governed by the respective privacy policies of those third parties. You represent that you are entitled to use your SNS account for the purposes described herein without breach by you of any of the terms and conditions that govern the SNS, and without obligating AZBP to pay any fees or making AZBP subject to any usage limitations imposed by such SNS. You can disable the link between your AZBP account and your SNS account at any time though the "Settings" section of our Service. Please note that your relationship with any SNS is governed solely by your agreement(s) with such SNS. If your SNS account terminates, then functions enabled through the link between your AZBP account and your SNS account will terminate as well. We may employ third party companies and individuals to facilitate our Service, to provide the Service on our behalf, to perform Service-related services (e.g., without limitation, maintenance services, database management, web analytics and online advertising, payment processing, fraud detection and improvement of AZBP's features) or to assist us in analyzing how our Service is used. These third parties may have access to your Personal Information in order to perform these tasks on our behalf. AZBP will share information with government agencies as required by law, including without limitation, in connection with reporting earnings. We cooperate with government and law enforcement officials and private parties to enforce and comply with the law. We will disclose information about you to government or law enforcement officials or private parties as we, in our sole discretion, believe necessary or appropriate to respond to claims and legal process (including but not limited to subpoenas), at the request of governmental authorities or other third parties conducting an investigation, to protect the property and rights of AZBP or a third party, to protect the safety of the public or any person, or to prevent or stop activity we may consider to be, or to pose a risk of being, illegal, fraudulent, unethical or legally actionable activity. We may also use Device Identifiers to identify AZBP Users, and may do so in cooperation with third parties at our discretion. AZBP may share information, including Personal Information, with its parent company TMC, subsidiaries, and affiliates, primarily for business and operational purposes. We may sell, transfer or otherwise share some or all of our assets, including your Personal Information, in connection with a merger, acquisition, reorganization or sale of assets (including, in each case, as part of the due-diligence process with any potential acquiring entity) or in the event of bankruptcy. You will be notified via email and/or a prominent notice on our website of any change in ownership or uses of your personal information, as well as any choices you may have regarding your personal information. We may offer sweepstakes, contests, and other promotions (any, a "Promotion") that may require registration. By participating in a Promotion, you are agreeing to the official rules that govern that Promotion, which may contain specific requirements of you, including, except where prohibited by law, allowing the sponsor(s) of the Promotion to use your name, voice, likeness or other indicia of persona in advertising or marketing associated with the Promotion. If you choose to enter a Promotion, your Personal Information may be disclosed to third parties or the public in connection with the administration of such Promotion, including, without limitation, in connection with winner selection, prize fulfillment, and as required by law or permitted by the Promotion's official rules, such as on a winner's list. AZBP works with (or may in the future work with) network advertisers, ad agencies, analytics service providers and other vendors to provide us with information regarding traffic on the Service, including pages viewed and the actions taken when visiting the Service; to serve our advertisements on other web sites, within mobile apps and elsewhere online; and to provide us with information regarding the use of the Service and the effectiveness of our advertisements. Our service providers may collect certain information about your visits to and activity on the Service as well as other websites or services, they may set and access their own tracking technologies on your device (including cookies and web beacons), and may use that information to show you targeted advertisements. Some of these parties may collect Personal Information when you visit the Service or other online websites and services. We may also share certain Non-Identifying Information with these parties, including Hashed Information, in connection with the services they provide to us. Registered AZBP Users may update their choices regarding the types of communications you receive from us through your online account. You also may opt-out of receiving marketing emails from us by following the opt-out instructions provided in those emails. Please note that we reserve the right to send you certain communications relating to your account or use of the Service (for example, administrative and service announcements) via email and other means and these transactional account messages may be unaffected if you opt-out from receiving marketing communications. You may opt-out of receiving text messages by replying "STOP" to any text message received. Registered AZBP Users who access the Service by using an AZBP mobile application may, with permission, receive push notifications. Similarly, registered AZBP Users who access the Service by using certain desktop browsers may, with permission, receive push notifications. Notification preferences can be modified in the settings menu for the mobile application or the applicable browser. Upon request AZBP will provide you with information about whether we hold any of your personal information. You are responsible for maintaining the accuracy of the information you submit to us, such as your contact information. You may access, correct, or request deletion of your personal information by making updates to that information or by contacting AZBP through your online account. If you request to access all personal information you've submitted, we will respond to your request to access within 30 days. If you completely delete all such information, then your account may become deactivated. If your account is deactivated or you ask to close your account, you will no longer be able to use the Service. If you would like us to delete your account in our system, you can do so through the AZBP Service (once you logged in, visit settings/ user settings, and then click on the close my account link). We will use commercially reasonable efforts to honor your request; however, certain information will actively persist on the Service even if you close your account, including information in your Work Diaries and messages you posted to the Service. In addition, your Personal Information may remain in our archives and information you update or delete, or information within a closed account, may persist internally or for our administrative purposes. It is not always possible to completely remove or delete information from our databases. In addition, we typically will not remove information you posted publicly through or on the Service. Bear in mind that neither you nor AZBP can delete all copies of information that has been previously shared with others on the Service. AZBP takes commercially reasonable steps to help protect and secure the information it collects and stores about AZBP Users. All access to the Site is encrypted using industry-standard transport layer security technology (TLS). When you enter sensitive information (such as tax identification number), we encrypt the transmission of that information using secure socket layer technology (SSL). We also use HTTP strict transport security to add an additional layer of protection for our AZBP Users. But remember that no method of transmission over the Internet, or method of electronic storage, is 100% secure. Thus, while we strive to protect your personal data, AZBP cannot ensure and does not warrant the security of any information you transmit to us. AZBP protects personally identifiable information from residents of the European Union, other European Economic Area countries, and Switzerland in accordance with applicable law (including, as applicable, reliance upon your consent and EU-approved standard contract clauses). Our Service contains links to other websites. If you choose to click on a third party link, you will be directed to that third party's website. The fact that we link to a website is not an endorsement, authorization or representation of our affiliation with that third party, nor is it an endorsement of their privacy or information security policies or practices. We do not exercise control over third party websites. These other websites may place their own cookies or other files on your computer, collect data or solicit Personal Information from you. We encourage you to read the privacy policies or statements of the other websites you visit. Phishing websites imitate legitimate websites in order to obtain personal or financial information. Identity theft and the practice currently known as "phishing" are of great concern to AZBP. For more information about phishing, visit the website of the Federal Trade Commission at http://www.consumer.ftc.gov/articles/0003-phishing. In addition, if you believe you have received an email or had a similar interaction with a third party pretending to be AZBP, please report it at Editor@AZBP.com.